Inclusion Regina | I Love My Dance Pass! You are here: Home / News / I Love My Dance Pass! Tired of bringing coins to Sir Dancelot? Don’t like the jingle of the change in your pocket when you’re trying to show off your best dance moves? A Sir Dancelot Dance Pass. You can get your Sir Dancelot Dance Pass for $40.00. The Dance Pass is valid for 10 (ten) dances. The use of this card is determined by the rules and guidelines set out by The Regina and District Association for Community Living (RDACL). The Dance Pass will not be replaced if lost or stolen. 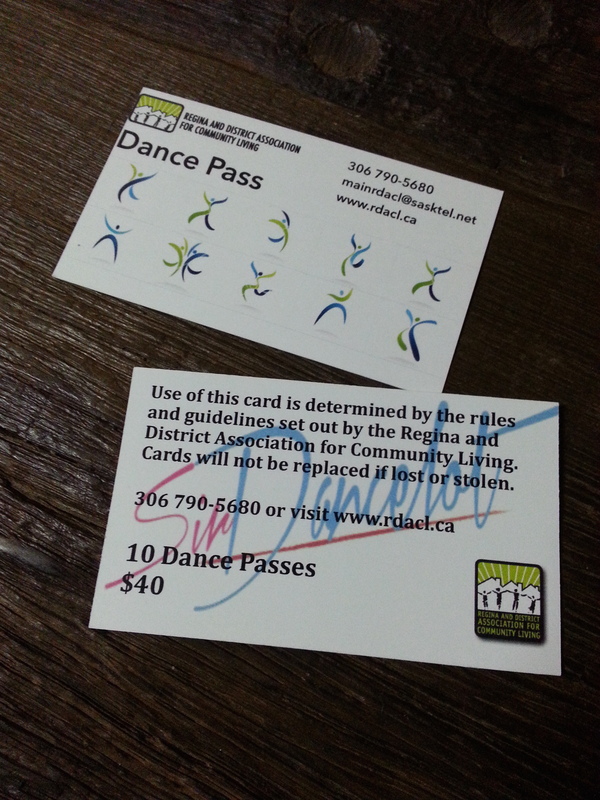 To get your Sir Dancelot Dance Pass card, please visit RDACL office at 2216 Smith Street, Regina.